The new “Assassin’s Creed” game looks like the best entry in years. UbisoftSometimes you gotta climb a pyramid. 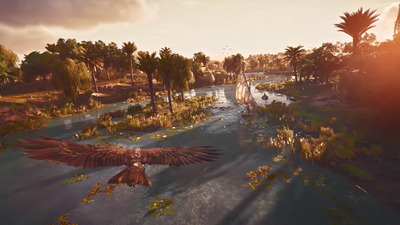 It’s called “Assassin’s Creed Origins,” and it’s set during one of history’s most fascinating periods: Ptolemaic Egypt. That’s the era when Egypt’s millennia-spanning empire began to fall, while Rome — led by Julius Caesar — conquered more and more of Western civilisation. 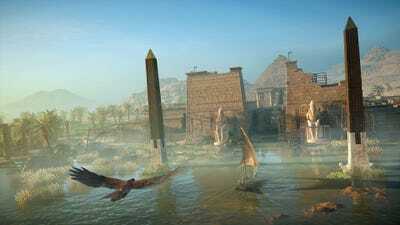 It’s also, according to “Assassin’s Creed Origins,” the period when the “Assassin’s Brotherhood” was conceived. That alternative history is what you’ll play when the game arrives this October. Here’s what we know so far! 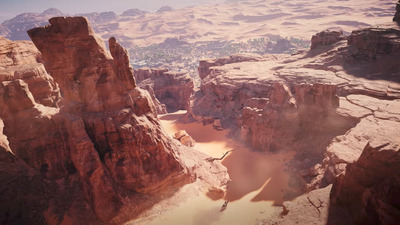 This is actually how the game looks. Two small towns -- Siwa and Faiyoum -- round out the game's towns. Hunting these animals is an option, though running is probably a better option. 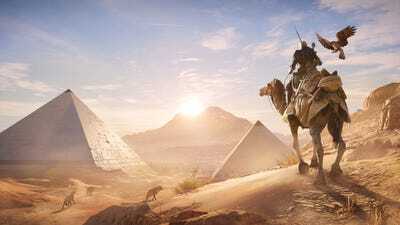 You're able to traverse the massive open world of 'Assassin's Creed Origins' on horseback, as seen here, but you'll also be able to hop on a camel if that's your kinda thing. 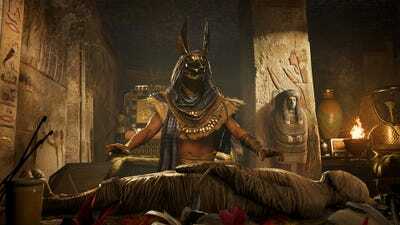 Beyond the new locale, there are some huge changes coming to the gameplay and structure of the series in 'Origins.' 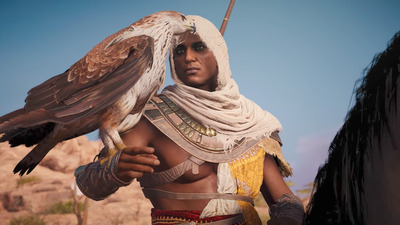 Let's start with the main character: Bayek. 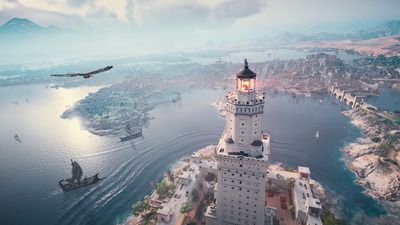 In case you haven't been acutely following the 'Assassin's Creed' series across the past decade, the backbone of the plot is a longstanding feud between two groups: the Assassins and the Templars. Both are secret societies that seek to influence society from the shadows, and both believe they're doing it for the right reason. There's a deeper backstory that involves gods and magic and all sorts of stuff, but you don't need to know any of that -- we're talking about games that primarily focus on sneaking up on people and stabbing them. 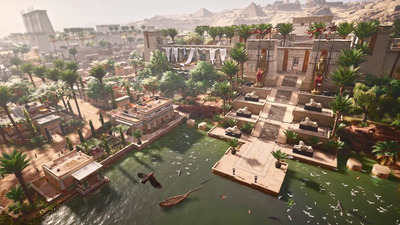 Anyway, in the case of 'Assassin's Creed Origins,' Bayek is being touted as the first official assassin of the so-called 'Assassin's Brotherhood' -- thus the 'origins' moniker. He'll be the first to use the hidden blade, the first to use eagle vision, the first to dive from a rooftop into a hay bale without injury. 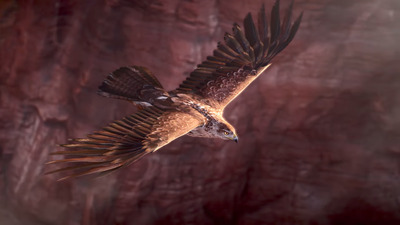 It's a spin on the concept of 'eagle vision' from previous 'Assassin's Creed' games. You even control the bird while in flight. 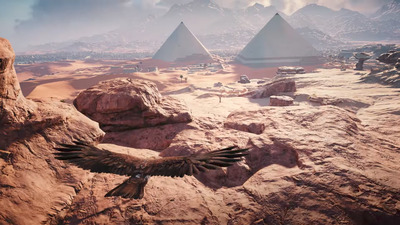 Another major change for the series is how you get around the world in 'Origins.' Though you're able to scale walls and hide in the shadows, this isn't a game about leaping from rooftop to rooftop. 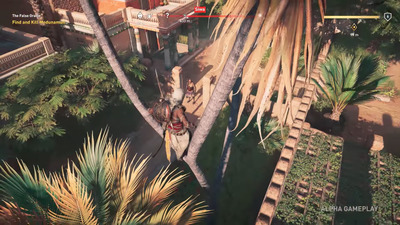 Here's Bayek hiding in a tree above this guard, who he's about to assassinate. Instead, you'll spend more of your time ducking into bushes rather than scaling buildings. When you do have to fight, the combat system has changed significantly as well. 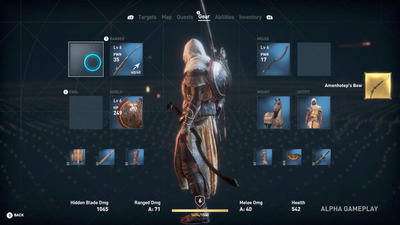 For starters, all weapons have levels and attributes associated with them. 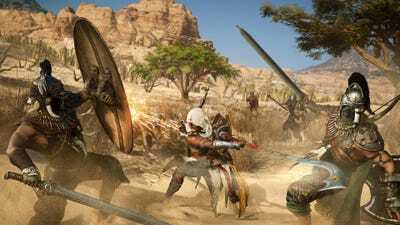 In this sense, 'Assassin's Creed Origins' is much more of an role-playing game than previous entries. Hopefully players won't have to spend too much time in menus swapping out weapons, armour, and outfits -- a common problem in RPG-style games. Additionally, hand-to-hand combat in 'Origins' is much less about countering (like in previous games). Instead, the focus is on a more nuanced system of attacks and proximity. 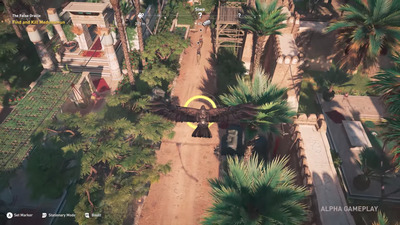 Rather than attacking one at a time, enemies in 'Origins' will attack at the same time. 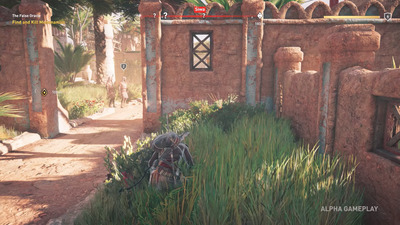 You'll have to carefully time your attacks and prioritise enemies based on proximity if you want to survive. And when all else fails? Run! 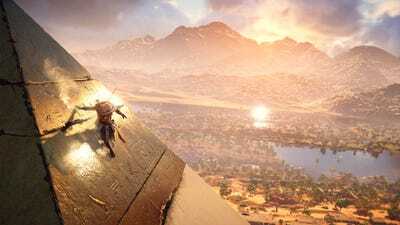 There are far more unknowns about 'Assassin's Creed Origins' than anything else. We know that Cleopatra shows up, and we'd bet that Julius Caesar also makes an appearance. And does the game tie into the bigger picture story of the franchise? That's all up in the air. 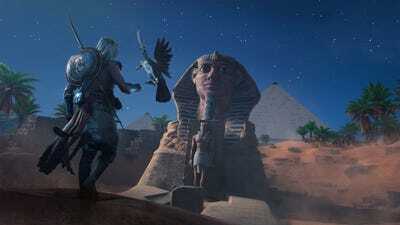 Do the seemingly magical powers of the Assassins and Templars originate with Egyptian mysticism? Maybe! 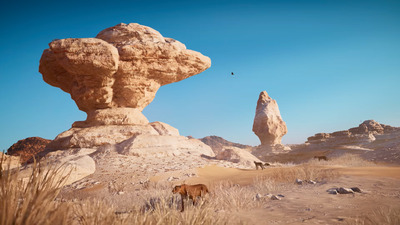 It's almost guaranteed that Bayek will somehow play a role in the defacing of the Sphinx's nose. That's exactly the kind of historic kisch that 'Assassin's Creed' gets into. To that end, naval combat is making a return in 'Origins.' None has been shown thus far, but it was one of the best aspects of 'Black Flag.' 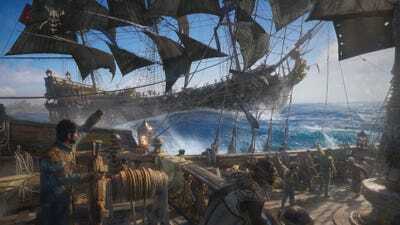 It was such a success, in fact, that Ubisoft is making an entire game built around just naval combat!